One heating solution that is becoming increasingly popular and available today is radiant heat. Radiant heat systems allow you to install heating panels in the walls or floor of your home to enjoy consistent, reliable heat. Instead of blowing heated air throughout the space, a room is warmed directly through floorboards (or walls) instead. At Air Tech, we specialize in radiant heat systems. Whether you require new installation, repairs on existing ones or to replace older models with more efficient models, rest assured you’re getting high-quality service at all times. Zoning- Residents can easily control radiant heating panels to create zones within their homes, increasing heat in colder spaces without overheating warmer areas. Maximum Comfort- Since different rooms often have different heat loss and exposures, zoning allows residents to maintain a greater degree of versatility with even heating. Energy Efficient- Radiant heat eliminates temperature loss through air ducts, resulting in a much more efficient choice to heat a space. Good for Allergy Sufferers- A safe, clean alternative to forced-air heating, popular with those who suffer from airborne allergies to dust. Radiant heating comes in a variety of forms and can be used in a wide range of applications. Air Tech can design radiant heat systems for new construction, including radiant heat for the floors, walls and even ceilings to reduce heat loss. In Long Beach Island, Ocean County and surrounding areas, radiant floor heat can be used in the smallest remodeling project or the largest commercial application. From hotels to add-on rooms in a vacation home, radiant heating provides maximum comfort and ultimate energy efficiency. Typically, most systems rely on a boiler to generate heat and circulate fluid through the tubes embedded in sub-floors. But, electrical radiant heating is also an option. Based on the size of your home, your budget and needs, we’ll help you select the right system by performing a complete inspection of the available components already in place in your home. Once this step is complete, we can begin the process of design and installation. Radiant heat systems are not necessarily a new way of heating. Did you know this technology was first used by the Romans as early as 60 A.D.? Radiant heat systems are very reliable and protected from typical wear and tear. But some exposed components, such as the boiler or pump, require more attention. Annual or semi-annual maintenance is advised to catch problems before they arise. In the event repairs are needed or you’ve noticed a drop in performance from your system, you can count on Air Tech to get the job done right, the first time. The sooner we are able to diagnose and address the issue, the less likely that further damages will occur. As always, the Air Tech HVAC technicians are available for 24/7 emergency service, no matter what heating system your home uses. 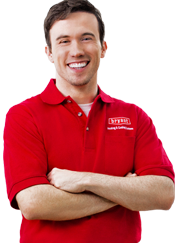 Air Technical Service Heating, Cooling and Plumbing has been servicing, maintaining and installing HVAC systems in LBI and the surrounding areas since 1999. We are a licensed HVAC contractor in LBI and Ocean County NJ. Air Tech provide all kinds of heating system installations, repairs and maintenance for units such as gas heating systems, forced air heat, boiler systems, radiant heating and Unico heating systems, etc. Residential or commercial, no job or project is too small or large for our technicians to handle. If you’re interested in installing a new radiant heat system or have one that requires service, call Air Tech today!